Hi guys! Sorry for the lack of posts this week, I've been insanely tired when I've gotten home from work. I'm still suffering from fatigue (and I wish I could figure out why! ), so this is going to be a pretty short and sweet post. But I really wanted to share another polish from the Definitely Not Cute collection from Digital Nails with you! Fish Don't Cry was inspired by Wallace, a fish who lives in Fish Bowl Space. 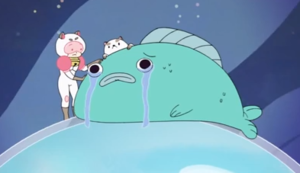 Bee and Puppycat go and comfort him because he misses his mother in the pilot episode. 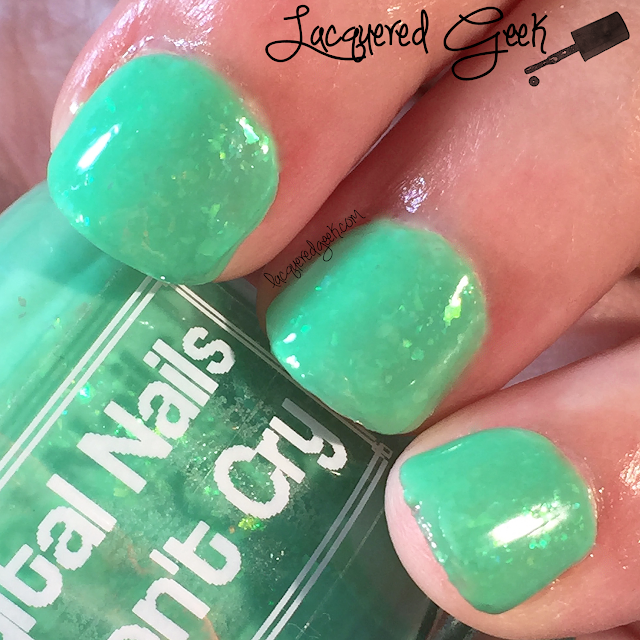 Fish Don't Cry is a neon mint crelly that's loaded with green to aqua color shifting flakes. I absolutely love this one. The color is just perfect, and the flakes... well they are the icing on the cake. I've pretty much worn this and Use The Sword AS A SWORD all summer long! The formula was fantastic as well. 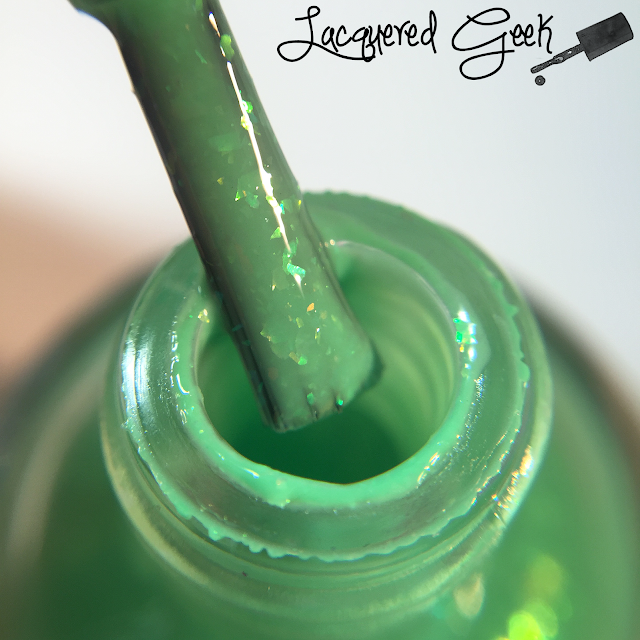 I used two coats and a top coat for these photos. I couldn't find just the clip of Wallace on YouTube, so here's the second part of the pilot episode. Wallace makes his appears around 1:09. 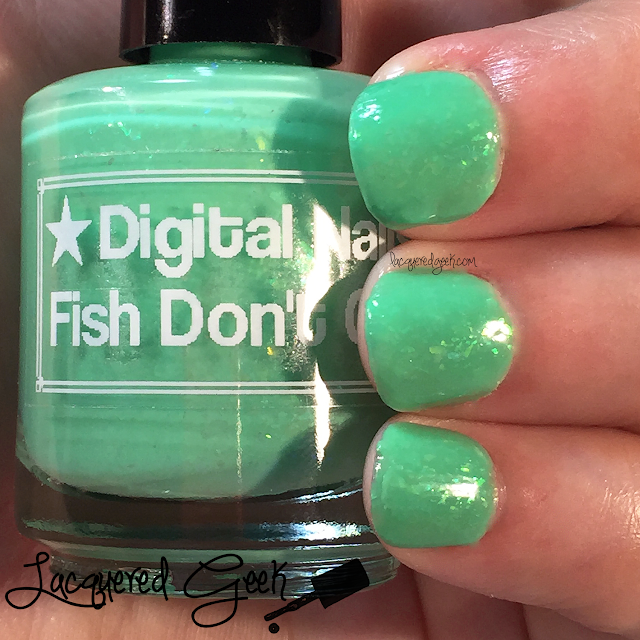 Fish Don't Cry, along with the other polishes from the Definitely Not Cute collection, is available from Digital Nails. This definitely looks like a very 'fish' like shade haha. I don't think it would look too good against my skin complexion, but it is a unique shade! Very cute polish!! I love that you included all that info!! This is beautiful! I love this kind of flake so much! This is so pretty. It does look like a fish! I love a good flakie polish! Great post! Greens always look so great on you! 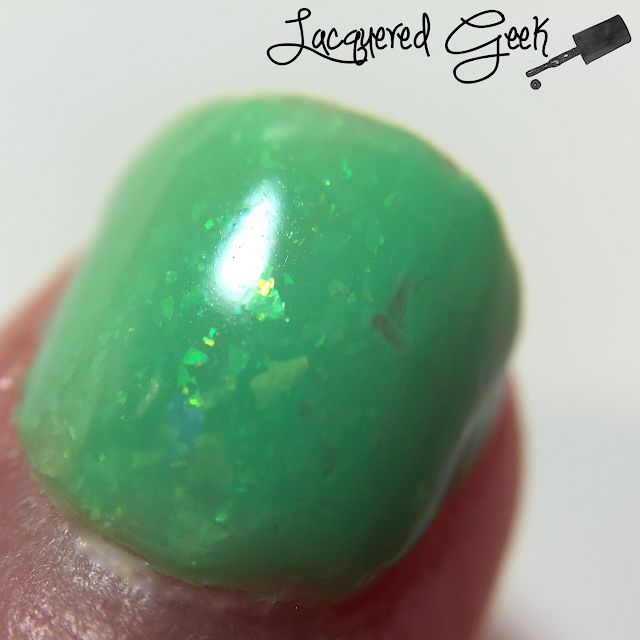 I adore the flakies in this! Beautiful polish. I don't know this cartoon, but who cares. Great polish! I want to try Digital Nails so badly! 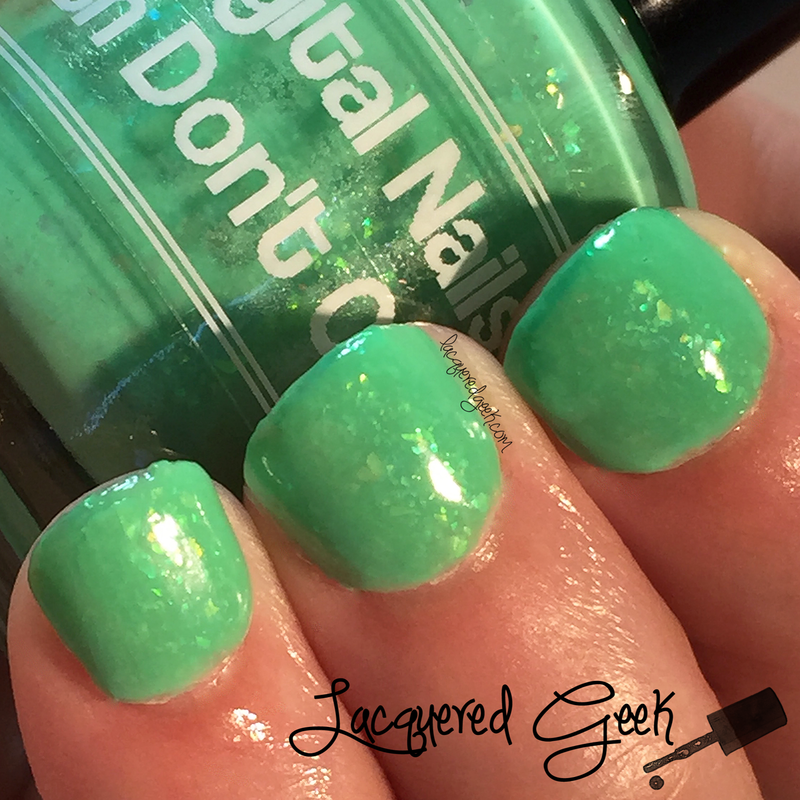 I love mint polishes and the flakies in this give it that extra pop of fun.